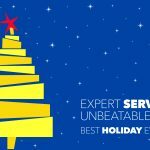 This post is in collaboration with Philips. All opinions are my own. Do you have a standard morning or nightly routine? For years, my morning and nightly routine was basically how fast could I either get ready for work or ready for bed. I would rush through brushing my teeth and putting on a bit of makeup (in the morning). In the evenings, I might take my makeup off if I thought about it. Over the past couple years, my morning and nightly routine has grown to include more steps (after being told multiple times that I really need to remove my makeup in the evenings I have finally taken it to heart). One thing that has always remained in my routine is my Philips Sonicare. I could be running super late to work, or be super tired with my bed calling, but I always made sure to brush my teeth. 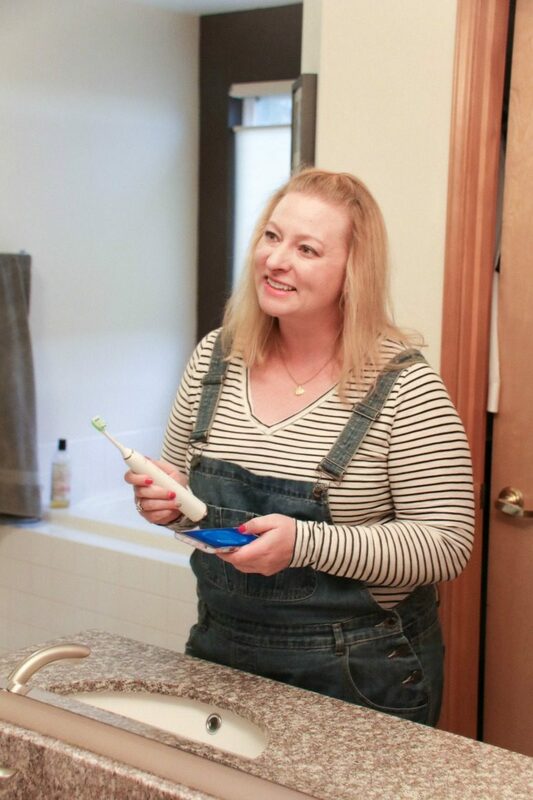 Even though I always made sure to brush my teeth and used a Sonicare, I know that my brushing technique could be improved. I have spots that don’t get as much attention, and others that get scrubbed a bit too hard. 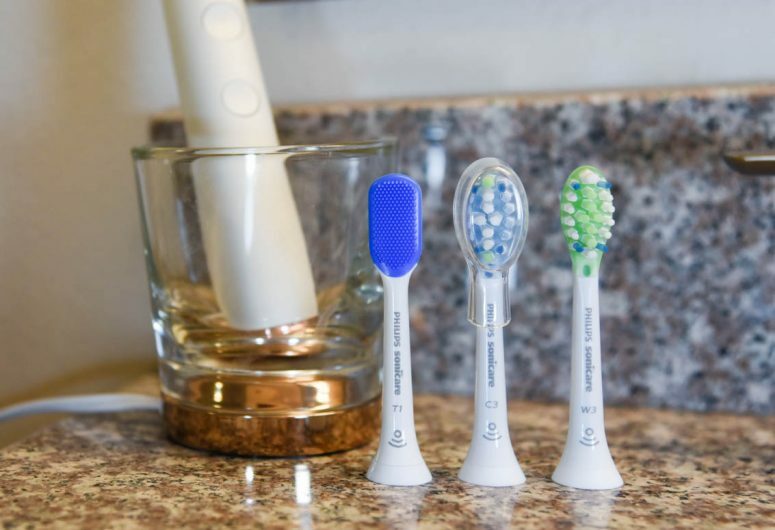 Last year at the Consumer Electronics Show (CES) in Las Vegas, I discovered that Philips created the Sonicare DiamondClean Smart, a bluetooth enabled toothbrush. I was immediately intrigued by this smart toothbrush. For much of my adult life, I’ve been fighting excess tartar. I do have nice strong teeth, but I also have highly sensitive gums. 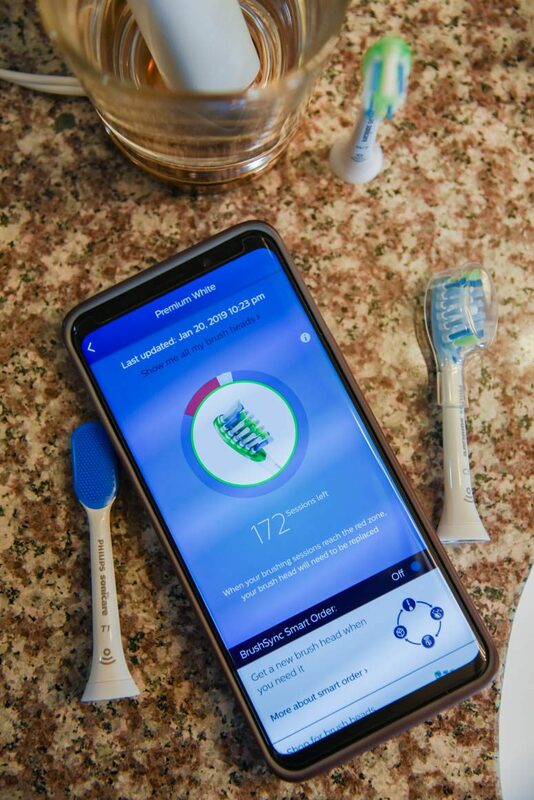 When I saw how the Philips Sonicare App would help track my brushing habits, I was interested to see if there were places that I was missing in my brushing, or if I was brushing too hard in areas. I love my Philips Sonicare so much that I always make sure to have room for it in my suitcase when I travel. When I traveled to Kenya in 2015, I was going to be gone for 3 weeks so I was a bit worried if my battery would last the whole trip (spoiler alert: it lasted with plenty to spare). With the Philips Sonicare DiamondClean Smart, this worry completely disappears because the travel case is also a charger! It charges via USB, which makes it easy to charge wherever I am in the world. I mentioned earlier that this toothbrush is bluetooth enabled. 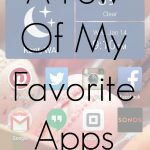 This is important because it comes with an app which tracks your brushing technique and helps improve your habits. Follow along on the app to see when you should move to the next section of teeth, it will also alert you if you’re moving too fast, and the toothbrush provides haptic feedback for brushing too hard. 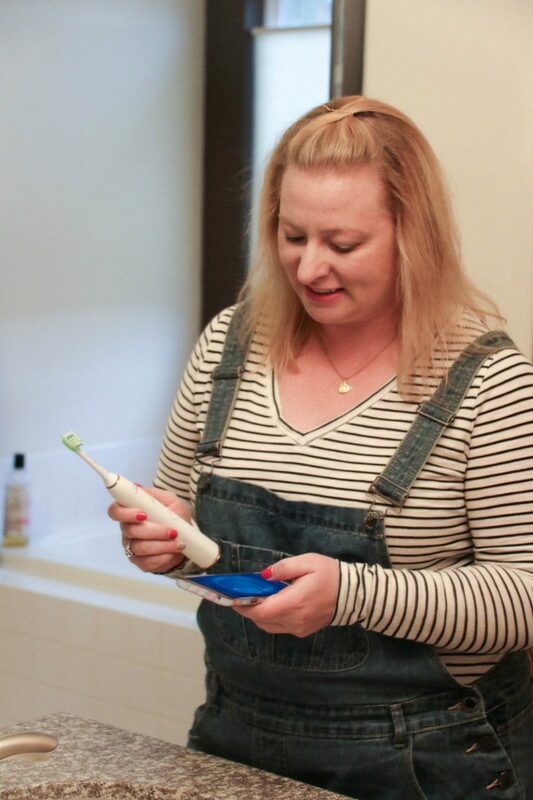 At the end of your brushing session, it will provide an overview of places you missed so you can work to keep your brushing session balanced across your entire mouth. Another great aspect of the app is the option to have brush heads automatically ordered when the head is nearing the end of its lifespan. 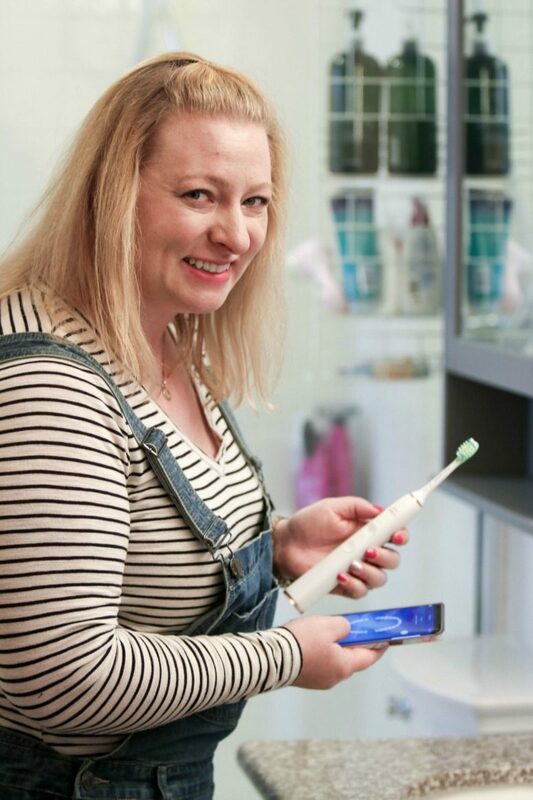 Since each brush head has an RFID chip to provide information to the handle about the type of brush head it is (gum health, whitening, tongue cleaning, etc), the app can also track how many times that brush head has been used in its life. By linking the app to your Amazon account, the new brush heads will automatically ship so you have a new on on hand when it is time for a replacement. 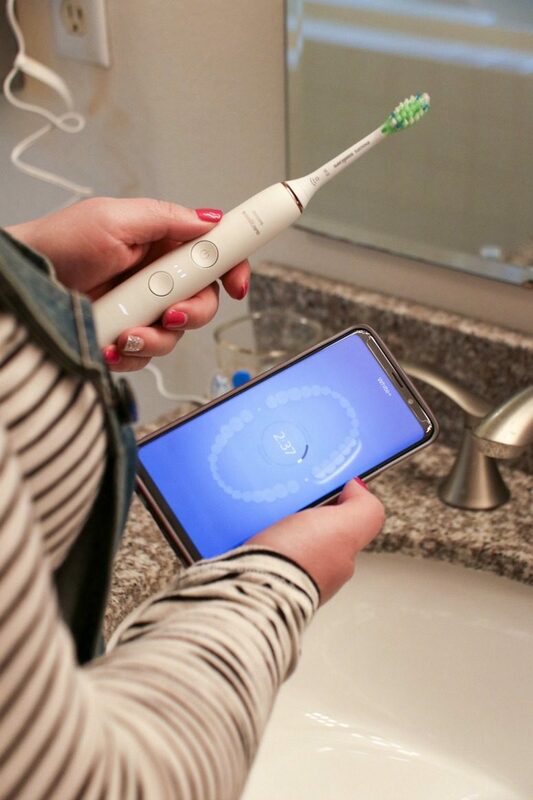 In addition to using the app to improve your brushing technique, you can access licensed dentists in your state with Philips Sonicare Teledentistry. For a small fee, you can ask a dentist questions about issues you’re having, or get a full in-depth analysis. Brad and I have both had to visit urgent care while traveling. If I ever had a dental issue while traveling I would definitely use this because it provides access to trusted dentists who can help with an otherwise stressful situation. 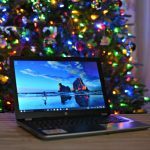 While checking out CES this year, I learned even more about all the amazing technology that Philips has developed. Their booth featured personal grooming and hygiene products such as the Sonicare and men’s shaver. The booth also had some awesome kitchen appliances. 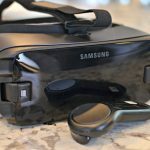 Some blog friends and I were given the opportunity to learn more about these products during a blogger breakfast on one of the mornings of CES and we got to see these products up close. After some delicious food and a demonstration of various products, we headed to the Philips booth to see the rest of the lineup. One of the items that I was especially interested in was the Philips AirFryer XXL. I had heard about Airfryers in the past, but had never tried one out myself. Once I started digging into all the things that could be made in an Airfryer, my shopping list continued to grow as I wanted to #makeallthethings. This past weekend, Brad and I enjoyed some delicious stuffed peppers that were made in the Philips AirFryer XXL. The AirFryer XXL can bake, grill, roast and fry with up to 90% less fat*. I’m looking forward to expanding my cooking horizons and making lots of amazing meals with it in the future. 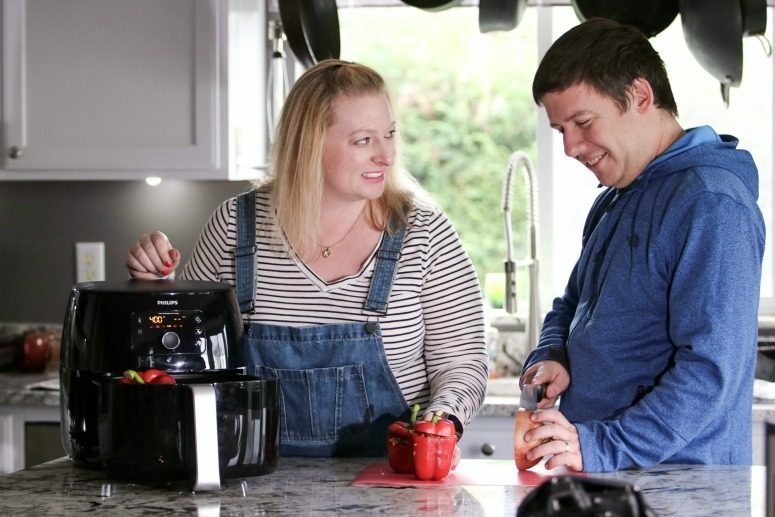 Some of my favorite features of the AirFryer XXL is that it has a huge capacity, it doesn’t require pre-heating, and all of the removable parts are dishwasher safe! The large capacity will be perfect for when we have parties to watch sporting events. It can hold up to 2 bags of fries, or other fun snacks that we want to make for our guests. I look forward to seeing what other products Philips releases; and in the mean time I’ll be making delicious meals with the Philips AirFryer XXL and keeping up with my oral health with the Philips Sonicare DiamondClean Smart! *Compared to fresh fries prepared in a conventional deep fryer. My mom has one of those and raves about it. I love my Sonicare and the AirFryer XXL is the bomb!! !